A small glimpse of what the finished piece will look like. Courtesy Artangel and the artist. Artangel is known for placing art in great locations. We've had films showing in the old BBC television centre, a creepy experience in the house Van Gogh used to live in and who can forget the flat filled with copper sulphate crystals. Now it's taking on the Palace of Westminster. 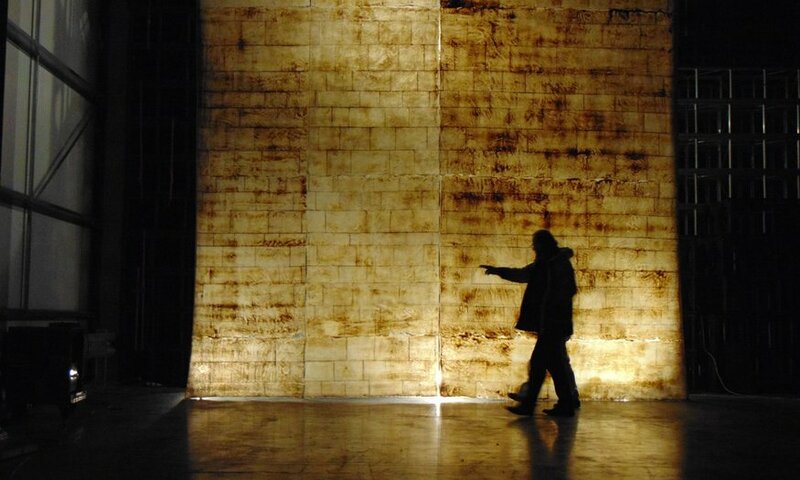 Artist Jorge Otero-Pailos will create a 50m-long cast of one the walls using latex. Collecting all the surface dust from the wall, it will become a historical record of the inside of the Palace of Westminster. The work will then be suspended from the ceiling for visitors to observe. The massive artwork will be free to visit but timed tickets will operate and, as with any visit to the Palace of Westminster, all visitors will have to go through an airport style security check. Jorge Otero-Pailos: The Ethics of Dust will be on display at the Palace of Westminster from 29 June-1 September. Entrance is free but advance booking is required.